I agree with Hannelore that making art is a meditative form of experience and communication. That's part of why I love it so much. 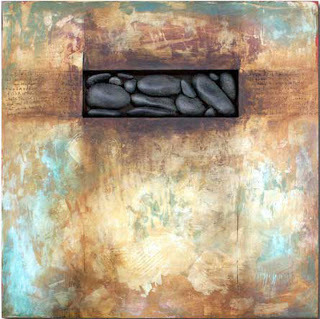 I think its that connection with my art that inspires me; the process, the tactile quality of working, responding to the dance. Life and the experience of being alive is my inspiration. And of course, beauty. Great post... I love the David White poem, and always good to have recommendations of good resources for students, thanks! Donna, great continuation of your last post. Your influences are wonderful, coming as they do from all directions; from Hannelore to the Big Lebowski. I've been thinking that the more we open ourselves to diverse influences--work that bears little resemblance to our own, the richer the artwork. I'm often tempted to look at work that resonates with my own--but lately, I'm trying to look at a much wider variety of artists. Btw, have you ever looked at the work of Charlotte Salomen? I do love the concept of going deeper and what better place than our art. I love the movie Il Postino. There are two more that also rank up there for me. Do you know Cinema Paradiso and My Life As A Dog. Ah Pablo Neruda. I was at a retreat and a French man read Pablo Neruda to my friend and I one day after lunch on a sun drenched patio. It was other worldly. I remember one phrase: I had an appointment with joy". Fabulous post from top to bottom Donna! As always you make me think! why? what? All those questions!perhaps writing down my answers would help me find the way I wnnt to follow! Its worth a try! thank you! The Pablo Neruda poem "Poetry" has always been a favourite of mine. I just love the simple power of that last line. Great post. Thanks for some interesting links to follow up. A lovely way to wake up on a sunday morning. Your post resonates with emotion and I read and re-read it and will again I am sure. Il Postino is one of my favorites, and after art, books are my passion. I will look for those. Thanks for following my blog. your collage is so beautiful. 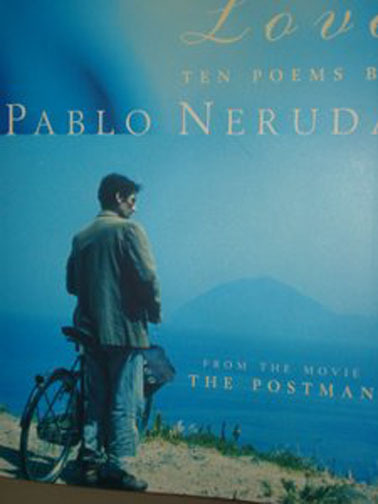 i adore Il Postino and Pablo Neruda both! Thanks for all the inspiration resources. I have not seen that movie and will put it on my list. You are yourself most inspirational. Thank you. 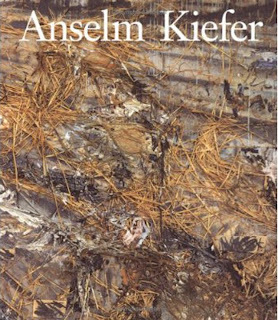 Anselm Kiefer in particular has that strange effect on me too, without being able to put my finger on what it is about his work that draws me in. David White's poem is beautiful and I know I am going to read this post for a third time to take it all in. 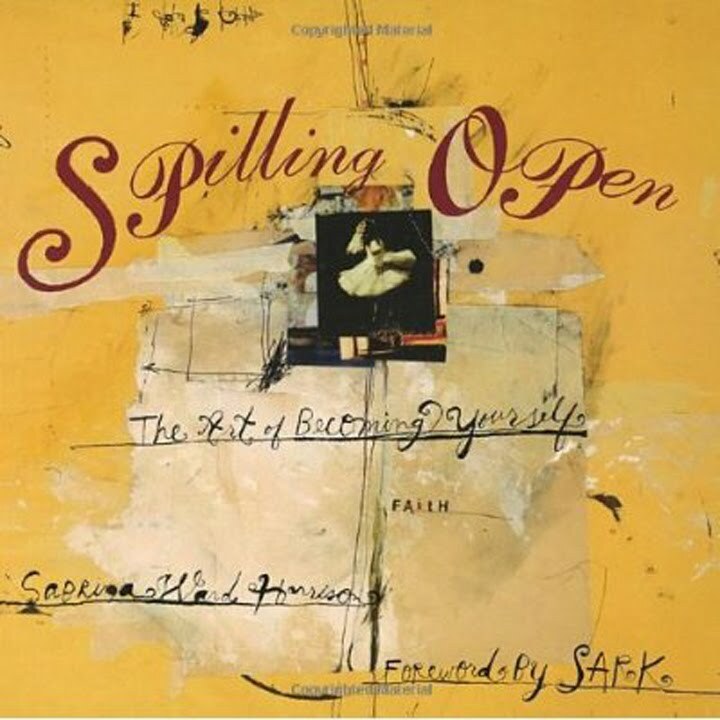 Great art and inspiration throughout..I love the words 'Rolling in the Deep' too. Gotta become ourselves, no time to waste..
An inspiring post Donna. 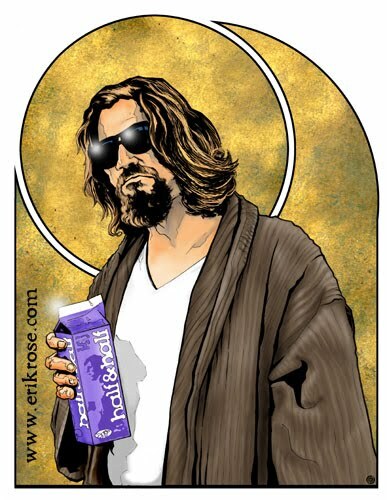 I too love the "Dude" character in The Big Lebowski...reminds one that a an artist's (author, actor, composer, etc) sense of humor and wit can be a marvelous way for the viewer to connect to the work, be it fine art, movies, poetry, music, etc. It is said, we are like onions, and there are many layers to peel away. And it is a moment of enlightenment. But alas, there is always another layer. It might take a long time to find oneself....Thanks for the post. Really enjoyed it. As always an inspiring post. Thanks Donna. Great post again. 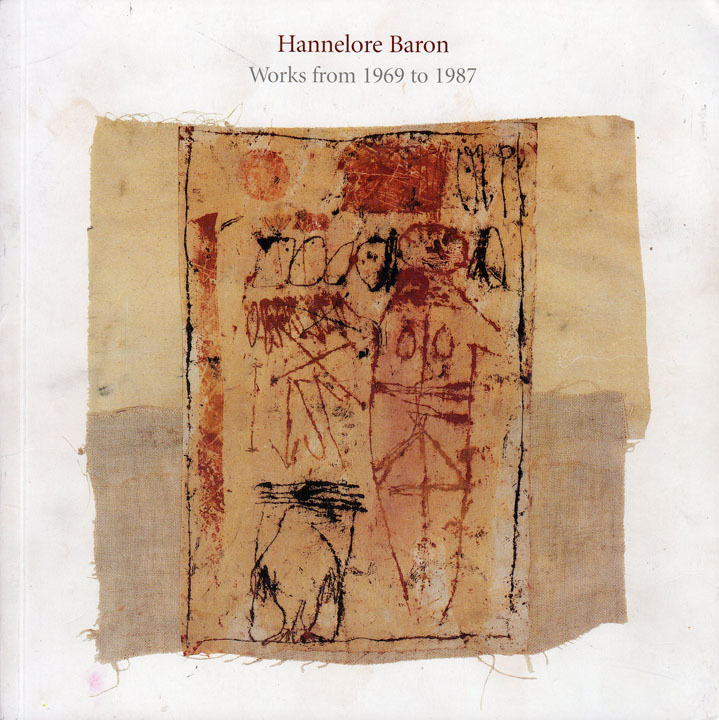 Love your collage and their numbers(....)Yes, I know Hannelore Baron. Her work is so pure and beautiful. A great post, super collage and many thanks for the introduction to Judy Wise. 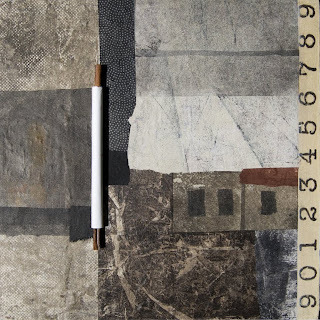 I love this collage with an excellent balance of gray tones and a nice variety of textures. Tridemensional element gives the feeling of parchment can be deployed anytime and make other changes to work. Greetings. Love your Strata piece. Delving deeper, hmm, sometimes I feel I'm on the tip of my tongue, just can't quite reach it! Strata . . sensitively nuanced and with such depth . . it really draws me in. The "Dude" is one of my favorites! 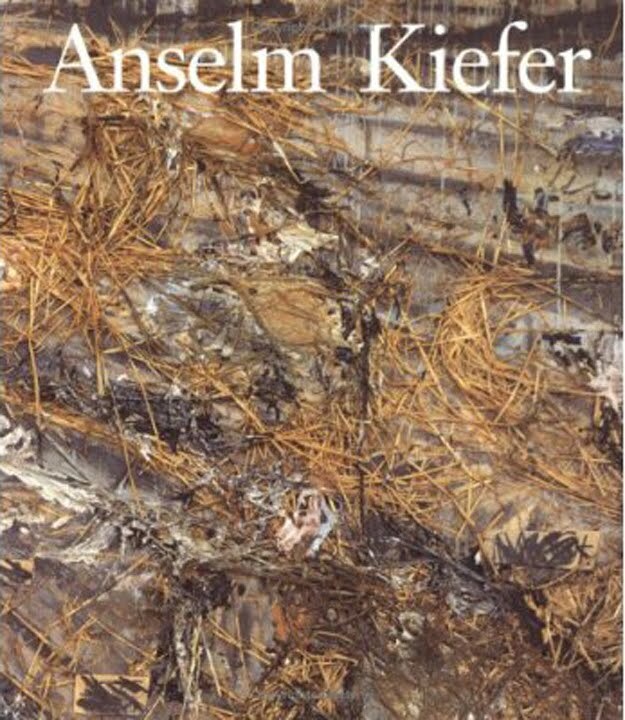 I think anselm kiefer is one of the greatest german artists. I saw some exhibitions with works of him: very impressive, wonderful textures! Very inspiring post Donna. It takes a long time to find oneself. Maybe an entire lifetime. Keifer hits me deeply just as the poets of his content. Esp Celan. Friends gave me Spilling open to open art to poetry. Oh. Also i heard j wise speak on line once. She had such a soulful voice i loved instantly. Donna this post is so rich! 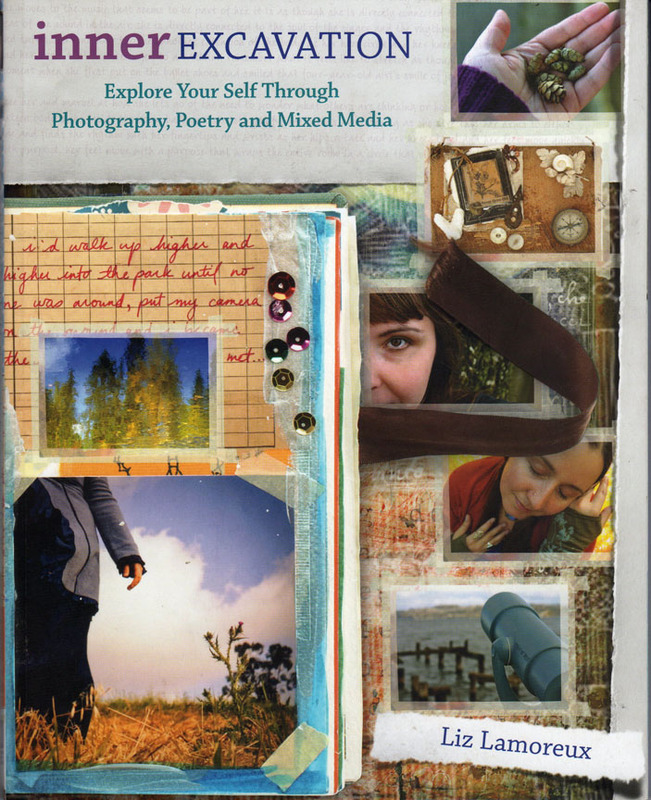 It is filled with inspiration, inks to explore, and thought-filled wisdom. Much to think about. Thank you for posting another gem! I'm always looking forward to your collage. Your collages are always saying a lot of your theme. Rolling in the deep - Look behind the facade of their own. I don't know how you do it, Donna. 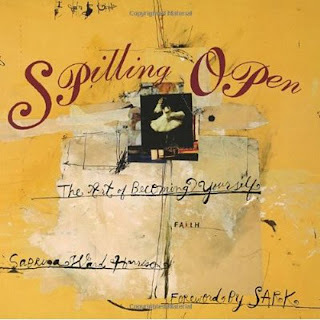 Each post is just full of inspiration and wonderful links to other artists and poets and thinkers and ideas; and, as always, one of your gorgeous collages. Your "Strata" piece is brilliant, Donna. The addition of the numbers add just the perfect touch! I've recently discovered your blog and consider it a real breath of fresh air. Thank you for bringing the work of Hannelore Baron to light for me. Her work brings tears to my eyes. Wonderful work you've posted here, Donna, including your beautiful collage. Keifer's work has something powerfully spiritual about it that comes through even though you can't quite define it. But really, Donna- that rug pulled the whole room together. 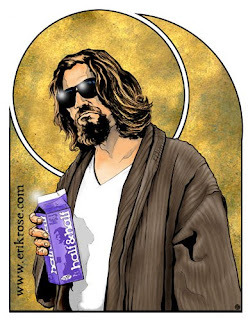 The Dude abides! It is a powerful song. She also has an incredible voice that really lends itself to the lyrics. what a magnificent post! your piece is gorgeous, as always, and your book list divine. i LOVE pablo neruda more than almost anyone. and the dude! yes, yes! the big lebowski our my husband's and my "first date" movie so we try to watch it every year around our anniversary. we're about due. i'll have to go pick up the makings for some "caucasians" before we pop it in. More books for my list, thanks Donna. Your collage is fantastic. The way the scroll is rolling across the page. I like the idea of rolling in the deep rather than over it. Doing something more than surface dwelling, intersecting with the infinite. I love the pic of The Dude, and the quote. "A strong feeling of emotion, appreciation, and connection washed over me." I had the very same feelings after reading Poetry, thank you. Dear Donna great collage as always, I looooove your work!!!!! so much inspiration here Donna...thank you! Anselm Kiefer's work makes me melt. It is astonishing. I love it.